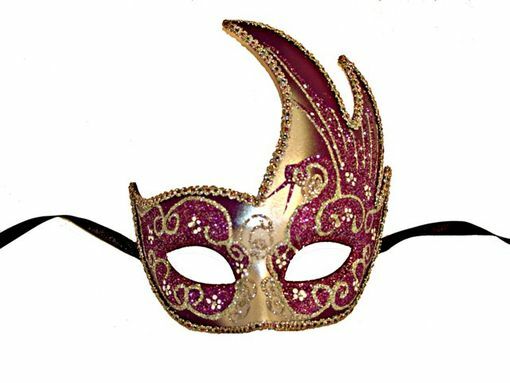 This beautiful purple and silver eye mask is great for any masquerade party. This mask is hand painted with a glittered swan design over left eye. Mask is made of molded plastic and comes with ribbon ties for an easy wear.